It seems ironic to talk about too much alcohol in wine that will be used to make a 40% ABV spirit, but that's exactly the problem. "For Cognac, we don't like to have too much alcohol in the wine," Pinet said. "We want 9 or 10 percent, not more. If you have too much alcohol in the wine, you get less aromas in the distillation process. In order to have a strength of alcohol not too high, we advance the harvest." The Cognac region isn't interested in moving back to Folle Blanche en masse, even though it ripens later, because it's not very resistant to disease and mildew is still a nearly annual threat. Courvoisier is working with some growers who are experimenting with a grape called Monbadon, a cross between Ugni Blanc and Folle Blanche, in hopes that it will also ripen later. 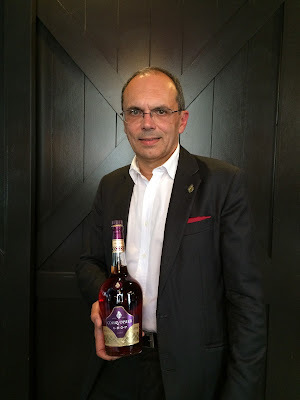 As for the impact of cocktail culture, Pinet says that has changed the flavor profile of Courvoisier's entry level VSOP Cognac. "Before, VSOP was drunk neat. Now we use more and more in cocktails," Pinet said. "We change a little bit VSOP to be more fruity and more floral. Five or six years ago we had more dried fruit notes. Courvoisier's style is to not have too much wood. We don't want to have the floral notes covered by the wood." I tasted Courvoisier VSOP for the first time in years and found it smoother than I remembered. Despite the change in profile Pinet mentioned, I found it quite fruity up front, with peach and orange notes, and I can see it working well in cocktails. Courvoisier's XO style has not changed, Pinet says. "The traditional style of drinking XO is drinking neat. You don't want to put it in a cocktail, although last night I had one (at Dirty Habit)," he said. However, there is an interesting newish production technique for the XO. "For the XO, we transfer from a dry cellar to a humid cellar (during the barrel aging process)," Pinet said. "When you are in a dry cellar, you have more evaporation of water. The Cognac is a little more rude. In a humid cellar, you have more evaporation of alcohol. It's interesting for the smoothness." 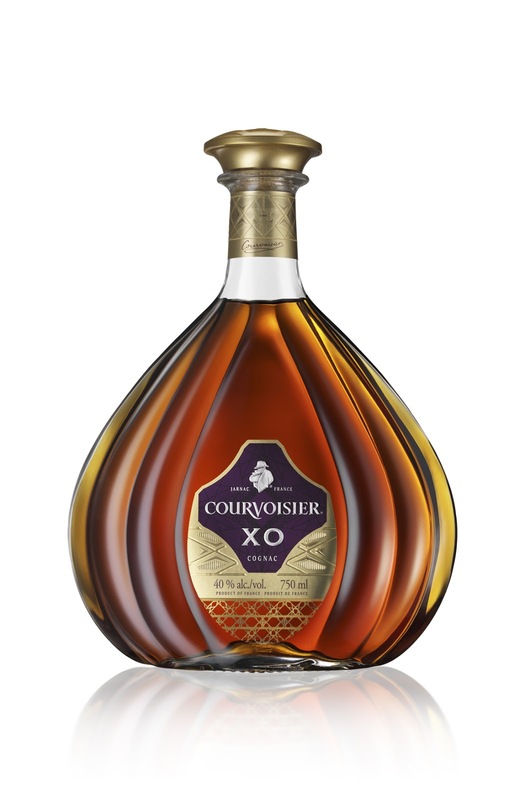 In fact, Courvoisier XO is rich and smooth, with strong caramel and orange notes and a hint of dark chocolate. It's delicious. I liked the XO better than the $3500 L'Essence de Courvoiser, which was launched in 2009. 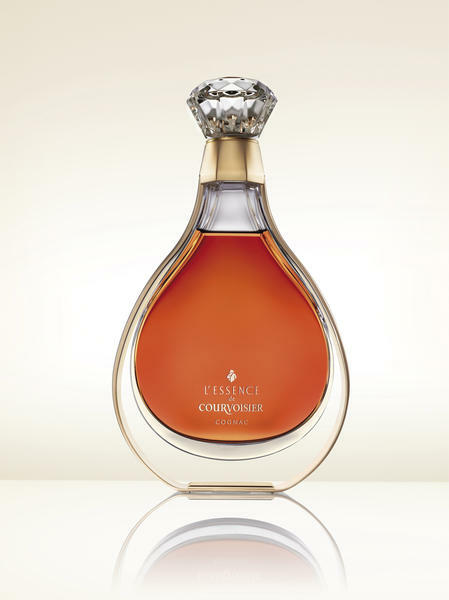 Courvoisier makes 3000 decanters of L'Essence a year and it is a beautiful bottle. And it's a nice Cognac, with good richness, caramel flavors and some fruitiness and a long finish, though it did run a little hotter than the XO. There is also more noticeable sweetness and maybe that's better for the luxury market. Just last week I spoke to a bunch of college students who wondered how much money I make blogging. Well, the answer is not much, but I do get to taste $3500 Cognacs now and then. That experience will make my next glass of XO more satisfying. Cognac connoisseurs don't drink Courvoisier. They drink artisan Cognac. Courvoisier can simply pick earlier or use Folle Blanche that has been manipulated to avoid disease; see i.e. UCD research vines and disease.